How many leaders are needed to run the UNP? Two – i.e., leader and deputy leader, which is the norm? Three – i.e., the leader, the deputy leader and the assistant leader? Four – i.e., the leader, the deputy leader, the assistant leader and the leader of the Leadership Council? Or even more, if you add the other members in the Leadership Council, including wannabees like Mangala Samaraweera etc? What is the limit? Where is it going to end? If this is the shape of the UNP in the Opposition how many cabinet ministers will he have in the unlikely event of his winning the polls? Is he competing with Mahinda Rajapaksa’s to beat the record of his jumbo cabinet? The post-Uva period is a time for strategic thinking and planning. Wickremesinghe cannot afford to dissipate his gains by sowing the seeds of future dissension. But he is doing just that: the more leaders he appoints the more divisions there would be in the party. The appointment of Ravi Karunanayake as Assistant Leader, is a suicidal move that would undermine the stability of the party. Knowing the inevitable consequences, he has appointed two rivals to No.2 position, hoping that he could play one against the other and retain his power. This is typical of Wickremesinghe’s short-sighted scheming. Kuththu-fying by pitting one against the other within his own party has been his routine tactic. It only confirms that he is a weak leader who is afraid of his own party members. During his stewardship he has failed to unite the rank-and-file which has from time to time rebelled against his leadership. His divide and rule policy is aimed at keeping everyone at each other’s throat, hoping that their internecine squabbles will force the bleeding rivals to run to him for survival. But the flip side of this is that a divided party will ruin his long-term chances of winning power. And if he loses next time there is no guarantee that he can remain as leader any more. In short, he will be digging his own grave by appointing too many leaders who will be pursuing their leadership prospects than focusing on serving the party, which would be for the benefit of all. Bringing in Karunanayake after appointing Sajith is nothing but a kuththu because it is aimed at reducing the power and status of Sajith. Besides, Wickremesinghe is yet to define the role and the powers of Deputy Leader. So far appointing Sajith as his deputy appears to be another cosmetic tactic which has not taken him anywhere. Quite rightly, Sajith has refused to meet him leaving Wickremesinghe up in the air. If Wickremesinghe tries to play around with Sajith this time too it will widen the gap that divides the party. At this critical time when the party is poised for a chance of winning power – even though somewhat remote – Wickremesinghe should strategize more constructively and decisively to consolidate the position of the party which will benefit the party, the nation and himself. Though there are many contenders for the No.2 position his choice of appointing Sajith as Deputy was the right choice to unite the party and give it a new image. But this should have been followed by a job description. The role of the Deputy Leader should be defined categorically for the new appointee to function effectively. For instance, one issue that should be defined unequivocally is : will No: 2 be appointed to deputize or succeed No.1 in his absence? In the natural order of things No. 2 is the automatic successor to No.1. The deputy shares the burdens of leadership with the leader. But Karunanayake has muscled in to elbow out Sajith. Clearly, this can be read as the first move of Wickremesinghe to divide the party immediately after the Uva victory,. This means that Wickremesinghe has won Uva and lost the party once again – particularly those whom he need to increase his chances of winning in the coming elections. It was totally unnecessary for him to appoint Ravi Karunanayake as Assistant Leader when he has already appointed Sajith Premadasa as his deputy. Why does he need an assistant when he has a deputy? Traditionally, UNP has had only No.1 and No.2 – and even with that limited number there was enough trouble within the party. I can vouch for that because I was in the thick of Dudley-JR crisis. Can you imagine the future in the UNP with about six or seven leaders waiting in the wings to succeed No.1? The appointment of Ravi Karunanayake is totally redundant. Making the top heavy is not going to make Wickremesinghe popular either in party or with the people. Besides, Karunanayake and Managala Samaraweera are good as noise-makers but not as vote-winners on a national scale. So why is Wickremesinghe packing the top with empty vessels? There is more to Wickremesinghe appointing Karunanayake than what meets the eye. Unlike Sajith – almost an outsider — they are ideological twins leaning more towards the West with a nominal bow to the aspirations of the national culture and politics. Wickremesinghe-Karunanayake combo will please the Western embassies and the anti-Muslim neo-cons of the West pursuing hegemonic power. One way of reading the appointment of two heads to No. 2 position seems simple: Sajith’s appointment is to please the people and the party hopefuls and the appointment of Karunanayake is to please the American and British diplomatic missions. In fact, right now Wickremesinghe is in UK with Sagala Ratnayake – his favourite junior who warms his cockles. This junket to attend the Conservative Party convention headed by David Cameron – the anti-Sri Lankan Prime Minister – clearly reveals the priorities and politics of Wickremesinghe. How many votes is he going to collect at the Convention of the Conservative Party for him to win the next election in Sri Lanka? What is the message he conveys to the Sri Lankan electorate by hobnobbing with David Cameron, the man who is hounding Sri Lanka in every international forum. Should Wickremesinghe’s role now be to kow-tow to the enemies of the nation abroad or to consolidate the position of his party at home? Wickremesinghe, it is clear, is not capable of learning from history. particularly the history of his own fatal failures. By now he should know that there are no votes for him in the West. Votes are in Sri Lanka. But the more he loses the more he leans towards the West and the more he leans towards the West the more he loses at home. To him the position of being somebody in the Asia-Pacific Branch of the IDU is more important than serving the party or the people of Sri Lanka. He overdid the West-leaning act too much when he was Prime Minister and where did it take Sri Lanka? He surrendered the sovereign rights of the nation to the West and to Prabhakaran and what benefits did he receive from both? He even met George Soros, one of richest investors in the West. How many investments did he get from him? It is obvious that he suffers from an incurable passion to live in a fool’s paradise. For instance, elated by his peace agreement with Prabhakaran he lifted the protective barriers in Colombo. It is the people who had to pay for his political buffoonery. The latest events have proved that even his party has no respect or trust in him. A classic example is the UNPs reaction to him after the Uva “victory”. Everybody who was somebody got his/her share of praise for the success scored at Uva. But no one – not even the stray dogs at Siri Kotha – showed any signs of gratitude to Wickremesinghe for scoring that victory. In other words, the party was saying that they can win without the leader – or is it, the loser? His repeated losses confirms that the party can win without him. He might as well stay behind at No.10 Downing Street to polish Cameron’s boots! Sajith Premadasa, on the contrary, earned his kudos for the constructive role he played at the grass root level. Even the hero of Uva, Harin Fernando, has come out swinging and insisting that Sajith be made the Prime Minister. In other words, Harin acknowledges the contribution of Sajith for his victory. Harin should know about Sajith’s worth because he knows that the derelict party was re-energized and revitalized by the psychological impact of the unity forged with Sajith. It is the Sajith-Wickremesinghe front that not only has the capacity to revive the party but convey new image – and through image a new message — to the electorate. The victory of Harin in Uva signaled that the UNP is need of a fresh look with a new icon. Harin gave that new hope with the new image to the new voters. Tired old Wickremesinghe cannot transform the image of the UNP on his own. He can raise his profile only if he teams up with Sajith. If the UNP fails to grasp this fact then it is doomed. The failure that is written all over trhe face of Wickremesinghe can be neutralized by the hope and energy that shines in Sajith’s face. It is the most meaningful and productive combination for the UNP. If the next election is going to be one of finding a new face for new hopes (as Harin in Uva) then Sajith is the answer. In the current context no one has better credentials than Sajith. Ravi Karunanayake’s past and future have been reduced to ashes like of the CWE records that got burnt in a mysterious fire. Karu Jayasuriya can hardly move with his broken back after too much of high jumping. Mangala Samaraweera has nowhere to go except to hang on to Wickremesinghe. In any case all these are tried, tested and failed hasbeens whose future is buried in the past. What the UNP needs now is a Harin on the national stage. The fresh face of Harin, raising new hopes, can be replicated in a Sajith-Wickremesinghe unity front. Who else is there in the UNP other than Sajith Preamadasa to be Harin’s counterpart on the national stage? The optics, undercurrents of present disillusionment, and the rising momentum can be collectively exploited to galvanize the bulk of the new voters waiting for a new awakening. Only the Sajith-Wickremesinghe combination an produce the necessary impetus in any future election. Out of the wild pack in the race there is no doubt that Sajith is a guaranteed winner. Not only the UNP but even the nation stands to gain with Sajith sitting on the right hand side of Wickremesinghe. 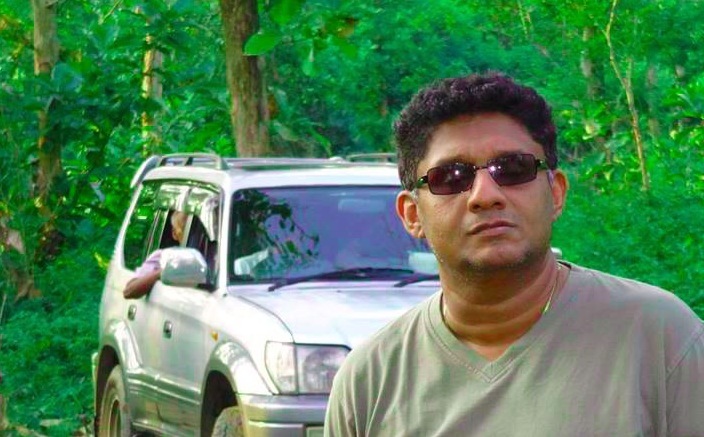 Like his father who packed off David Gladstone, the UK High Commissioner for meddling in the domestic affairs, the nation can be sure that Sajith Premadasa will not run to No. 10 Downing Street to polish the boots of the incumbent. To the everlasting credit of President Mahinda Rajapaksa he has shown the way to stand up against the might of the West. He has shown that the local electorate is mightier than IDU or No. 10 Downing Street. Each time Wickremesinghe goes to the West Rajapakse gains in the East. At the heart of the UNP crisis is the image problem which can be remedied only by Sajith coming in to balance what Wickremesinghe lacks. Sajith can be the balancing factor not only for the east-west divide but also for the north-south divide. Tissa Attanayake, who has turned out to be a hard-nosed realist, exposed the fallacy of having too many cooks at the top by resigning from the Leadership Council. Tissa-Harin-Sajith trio constitute the new face/force of the UNP. Above all, they provide credibility to an alternative leadership. UNP, after all, is standing as the alternative model for good governance. Tissa-Harin-Sajith is the trump card that Wickremesinghe has to play as his next move to get anywhere close to power. But will he play it or will he commit hara kiri again? Oh! Mahindapala at last! Now trying to counsel the UNP when the tide has obviously been turning to this Grand Old Party. Typical of this guy Mahindapala who is uncomfortable without sucking up to those in the echelons of power. The UNP is on a developing tide. HLD knows that. How is he to shape up with that party in view of the fact that Ranil has already disregarded him. Ranil is clever at smelling insincere “supporters” and HLD and his likes have no chance. The strategy therefore is to back Sajith. Dayan does the same. But we know that Sajith will cut his own grave in politics as he has a proclivity for political suicide. Bad luck old boy. Take a long deserved retirement from journalism and rope in people like Dayan, Chandraperuma and M Seneviratne to form a retirement village for bankrupt journos. What is exactly wrong with Sri Lankans and South Asians? Sure, Mahindapala points out some of RW’s greatest weaknesses. RW’s blind faith in the West to rescue Sri Lanka is legendary stupidity. UNP totally lacks modern organisational structure, good governance or culture. Ironically, UNP aspires to modernize Sri Lanka. And to make her more transparent. Once we get rid of the historic curse from Hambantota. Given UNP’s track record & its’ current behaviour neither will happen, even after a regime change. Sri Lankans are bound to get deeply disappointed. If they just replace the Signage of GOSL from corrupt SLFP to disfunctional UNP. Sri Lankans, including Mahindapala should quit worshipping names. Be it Mahinda, Ranil or Sajith. Track record, results and skills matter. Not name recognition. Sajoth’s biggest qualification is his Dad. That is not a qualification. People must realize this. There are 20 million people in SL. There is an abundance of talent & honesty here. Mahinda, Ranil or Sajith are hardly representative of the full potential of our people. In fact, they are only there coz’ they have always been there. Hardly a good reason to be considered for high political offices of this country. PS: True. RW worships 10 Downing Street to the point of our embarrassment. And Mahindapala should quit worshipping Sajith as the saviour of Sri Lanka. Equally embarrassing. An insult to our intelligence. The writer is a crony or S P.s father.S P is a person who work for M R.
her? So S P has to show his gratitude to these rogues. Mahindapala is mistaken.True Wickramasinghe may not be attractive as a leader, but Sajith? You should get your head examined. Why do you think that the govt played about with the distribution of seats in Uva and added three to Moneragala. Is it because of sajiths popularity. The Govt knew that Premadasas are hated at Moneragala.The father is called the Butcher of Moneragala for what he did in 1987-89.The initial support for Sajith at Hambantota had also shrunk.Ravi is not a good choice I accept, but he has the guts to see through sajith and is educated, which Sajith is not. Regarding Mangala, you are mistaken. He holds a sizeable strength on the Hambantota – Chilaw stretch.I have seen the analysis made about the electorate by the UNP when Mangala was with the SLFP. Mahindapala your vitriolic writing is no substitute for a good analysis of the electorate. Mahindapala you used [Edited out] Premadasa.Now are trying to [Edited out] of Sajith. Did Keselwatta Kid go to watch Lionel Ritchie ?.. Can he win the hearts and minds of the Elite, the Anglicans and the Vellalas by singing old Manoharan’s Kavadi numbers?. What is Keselwatta Kid doing on their Turf is a puzzle. Keselwatta Senior was a brawler and had a connect with the Dalits, because the UNP then wasn’t totally dominated by the Elite, Anglicans and the Vellalas. Still he couldn’t run the distance because he wasn’t part of the Elite. The current Govt which has delivered the goods and looked after the dalits is no easy pushover, despite UVA. Do the Dalits want Cameron’s bell boy to destroy what ever Dalits have got including the new Yarl Devi?. As Mahindapala says will the rebuilt CWE, Chinese donated Freeways and the Luxury Buses of the Southern Dalits be safe from the 2nd Deputy?. Will they need permits to cross Omanthai?. Will Ranil hand over Rajapaksa to Pillai Police Team?.. Until Keselwatta Kid comes with clear answers to these important issues , our Dalits aren’t going to give him their vote just for his Voice and a few LKRs from the late Senior’s estate. Ranil W is the Problem. I am no supporter of Ranil’s and am aware of his flaws, what the writer Mahindapala calls his fatal flaws. I also wish writers are more explicit rather than asking us to guess at the intended meaning. For example, is “Sagala Ratnayake – his favourite junior who warms his cockles,” a hint at Ranil’s often alleged sexuality? Other readers have opined of HLD’s connection to Premadasa Senior. HLD was then the Editor of the Daily News ( noise ). He is hedging his bet’s after jumping ship to the Rajapaksa Team. In politics there are no permanent friends only permanent interests. Sajith Premadasa will be another Rajapaksa, who will unleash violence on the people to control them. His academic qualifications are bogus. His family tainted in frauds. And good old Srilanka, none go to jail. Where are our other leaders. Our current lot has failed us miserably. My vote will be for AKD. mine too (vote is for AKD). ranil should retire. sajith shld go back to school. ravi k should be in jail! Mara’s supporters are building a chorus to attack Ranil Wickremasinghe. HLD Mahindapala, who has been going shopping for Mara, is the latest voice. His tactic is to urge that Sajith should replace Mara.Sirasa and Tiran Hullas say the same thing. This is not a love for Sajith but a circuitous way to undermine Ranil. We should ask ourselves why is the Rajapakse government targeting Ranil and why are their cohorts like Mahindapala and Malinda and Dayan adding voice to this campaign? The answer is obvious: these people fear Ranil Wickremasinghe. Every time Ranil is attacked like this it is a compliment to him. Only a man with political maturity, vision, intelligence and integrity can put back Sri Lanka on track after all this disastrous Rajapakse rule. If not Ranil whom? We in Sri Lanka still enjoy the weekly comedy episode that came over the SLBC radio titled “VINODA SAMAYA” produced by well known Alfred Perera. Those days we count the days and wait to listen (there were no TV at that time)to this comedy in which the main theme was centered in a character called “Amaris Aiyah”. As time went by and with the main actors were getting old, this comedy too went off the air. Now we have this “modern” UNP where the main character “Amaris Aiyah” is played by Ranil Wickramasinghe. The people all over Sri Lanka are enjoying this “comedy” not on a weekly basis but on a daily basis. “demart” above has very interestingly queried that “Brand New Currency Notes” produced at a bank by this “Deputy Leader’s” sister and were found to be “FAKE NOTES”. Of course, “blood is thicker than water” this Deputy Leader” rushed to the “Big Authorities” and bailed her out.The “Big Man” as always jumps at these “opportunities” and a “King” to make hay while the sun shines. But most interesting part of this “comedy” was the present day “Amris Aiyah” did not ask his “Deputy” to “clear” the name and come in keeping with what he did to “Sajin”. We in Sri Lanka know very well to identify and differentiate between “a fart and the sound of door cracking”. UNP must first understand that and begin to rebuild if they want to regain that lost trust and confidence of the people. How do you expect Ranil to tell Sajith to clear his name, when the offence has been committed not by him? In Sajin’s case he was the culprit. No wonder your Donkey type cannot differentiate and try to heap insult on RW as you Buggers can never stand up to RW’s stature and Intelligence. Viswajith, You are right. I like Anura Kumar Dissanayake, except that I have fear.They worship Che Gueura and Castros.True they got rid of corrupt Batista, but they are no saints.If the Castro bros die tommorrow there wont much grief.The people may not celebrate as at the death of Premadasa because they have done good, but they also consider killing people as a solution. Please CT editor, why do you allow such obviously politically affiliated people to opine in the space, without mentioning their former/present affiliation and to parade them as independent unbiased journalists. It is unfair to the readers as they are trying to shape our views with skewed facts. I never knew who this guy is but it was very apparent after the second paragraph that he is doing a hit piece on Ravi Karunanayake and trying pander/promote for his next big piece of cheese, Just like DJ, smelling the meat coming out. One should make it a policy in the next joint opposition not only the corrupt rulers be gone but make sure these make shift green and blue tie wearers be gone too. What is so great about Sajith, he lacks proper education, or Charisma. And from the tantrums he thorws like a 2 year old I am not sure if he is ready to be a statesman. Besides he is not a team player. Not a hard worker. Only thing he think he has is his familial right, being the son of the former President RP. What ever his weaknesses are RP was one of the hardest working people we ever saw, he despite his upbringing, background, lack of opportunity yet, is a street-smart who strived for perfection. Someone who could get things done. What has this guy done. If UNP made this guy the next in line, or the next leader how is UNP different from Rajapaksha, Bandaranayake Familial rule party. First Ask Sasjith to do something and prove himself and worthy of that place and then ask for positions. He and his cronies seems to feel entitled for the throne, if our people are smart Sajith should be dealt with a pole. What more do you expect from the son of a hearse driver? Ethics and Decency? This is insane. Can anyone with an iota of a brain suggets this Premadasa boy tp lead a Nation? Sri Lankan public’s politico selection must be the DUMBEST PROCESS that has taken place anywhere on this planet at any given time in the history of mankind. Dayan believes the country should be lead by Premadasa’s political brat. Are you suggesting Dayan does not have an iota of brain? A preposterous suggestion. Tamil speaking so-called vedda is a kallathoni. This is insane. Can anyone with an iota of a brain suggets this Premadasa boy to lead a Nation? Gamini: Thank you. I wan’t blame you or get offended for you naming me “you Donkey type”, because you are not aware of the circumstances and how that this case of “Fake Notes” case of Sajith’s sister went underground and did not even allow the “investigations” to be completed. I too do not want to go into the details of the case as that has already been “swept” under the carpet. Your “Leader” of “STATURE OF INTELLIGENCE” knows what happened and how he helped in the case. Let it remain as that. Thank you.